Kunena team have released Kunena 5.1.6 which addresses a security fix, some improvements and bug fixes. We have updated our templates for Kunena 5 to keep them secure. 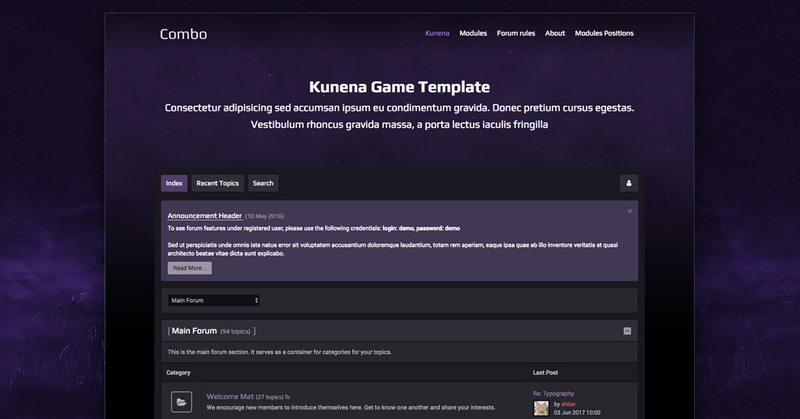 We are thrilled to announce an update of gaming template RND Kcombo to version 2.0. Now it is compatible with Kunena 5.1.5 and you can upgrade both forum and template to its latest version and keep your site up-to-date. 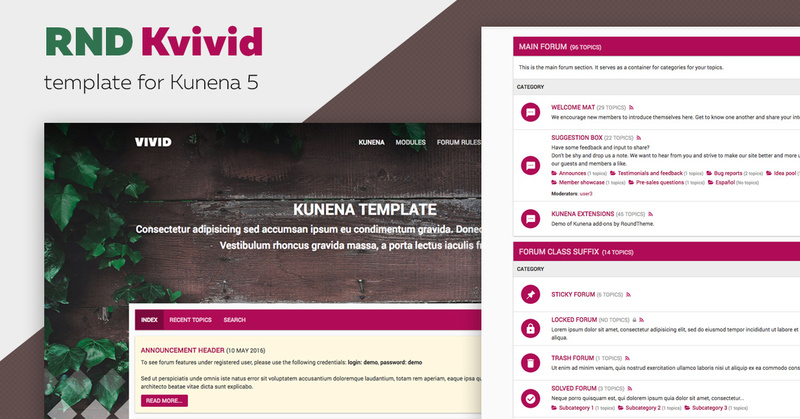 Today we are glad to announce an update of RND Kvivid - an excellent and creative template for Kunena. Now it is compatible with the latest Kunena version 5.1.5. Feel free to update RND Kvivid template and the Kunena. Another update is out! 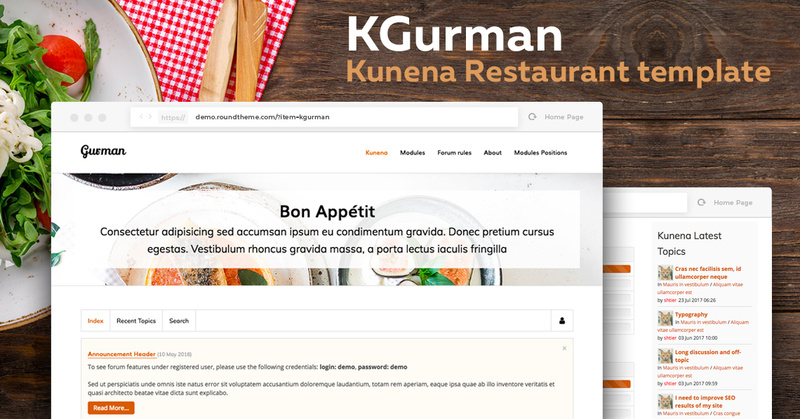 We are glad to announce a major template update for restaurants and café - Kgurman v2.0. 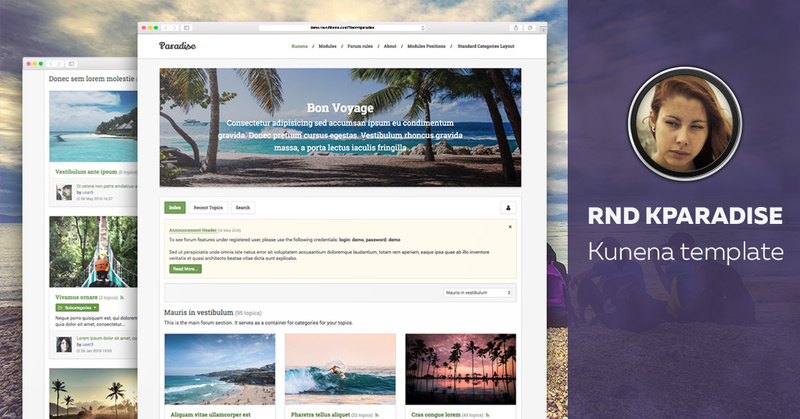 Now it is compatible with Kunena 5.1 template layout and we recommend you to download and install this version to keep Kunena up-to-date and go on using this beautiful template.